The computer clubs of St Joseph’s College are back with a bunch of new and exciting competitions for 2018-19. One such competition will give students the opportunity to design the logo for their upcoming department fest, which will be held later this year. The winning design will be used as the official logo for the event. 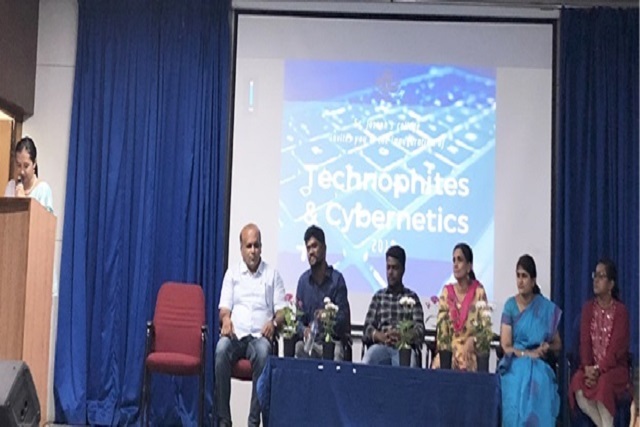 These and several other announcements were made when the computer clubs (Technophites PG club and Cybernetics UG club) were inaugurated by Vijay Kumar R, senior software engineer, Integra Microsystem, and Padmanaban M, senior software engineer, Medtronic, at the Xavier Hall in the college on Tuesday. The Technophites and Cybernetics logos were launched at the event, presided over by Dr Rabbi Akkiba Angiras, Vice-Principal, PG block, St Joseph’s College. Other dignitaries present at the event were Prof Sandhya N, head of the Computer Science Department and the department’s PG coordinator Mary Merline Rani. The clubs will conduct technical and non-technical activities like blind coding, reverse coding, web designing and logo designing. As part from that, a monthly seminar related to IT will be conducted by the clubs.